In Drug Withdrawal Stages In Addiction Recovery there are two phases that an individual goes through. The first phase, Acute Withdrawal Phase, the withdrawal syndrome lasts anywhere from 5 to 28 days with a peak in severity of symptoms at approximately 2 weeks [4, 6]. The severity of symptoms during this phase are dependant on the type of substance, the length of time substance was abused, the method of abuse (i.e., inhaling through nose, injecting, swallowing, or smoking), the amount of substance taken at each use, family and genetic makeup, and medical and mental health factors . Within this Acute Withdrawal Phase various substances have varying lag times or response times to the loss of the substance in the body. For Heroin withdrawal can begin within 12 hours of the last dose and peaks within 24-28 hours. The withdrawal effects may last a week to a few months [1, 6]. With Prescription Opiates (i.e., Vicodin, OxyContin, Methadone, Morphine), withdrawal starts between 8-12 hours of last dose and peaks within 12-48 hours. The symptoms last typically 5-10 days . Individuals may show early signs of nausea, yawning, lacrimation, tremors, irritability, dilated pupils, increased respiratory rate . Severe signs can include insomnia, elevated blood pressure, nausea, vomiting, abdominal cramps, chills, diarrhea, and muscle twitching . Benzodiazepines (i.e., Xanax, Valium, Klonopin, Ativan), withdrawal symptoms can begin within 1-4 days of last dose and in the absence of treatment, withdrawal could last months or even years . Cocaine withdrawal starts within hours of the last does, peaking at 2-3 days and can last up to 10 week, depending on the severity of the addiction . Withdrawal symptoms are similar to that of prescription opioids. Alcohol withdrawal may begin 8 hours from last drink and last up to a few days. The peak of withdrawal is typically 24-72 hours . Typically within the early stages of withdrawal individuals may experience tremors, loss of appetite, nausea or vomiting, anxiety, irritability, and insomnia. Later stages, typically 7-96 hours into detox clients may experience seizures, delirium. Benzos or Ativan can be used to at this time to help alleviate some of the physical withdrawal symptoms, but should be done so in a treatment setting . Heroin withdrawal may occur within a few hours after last use and symptoms can include restlessness, muscle and bone pain, insomnia, diarrhea, vomiting, cold flashes with goose bumps (i.e., “goose bumps”), and leg movements. 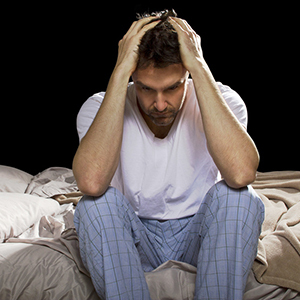 Peak withdrawal typically occurs 24-48 hours after last dose . According to a 1986 study conducted by Gawin and Kleber , they collected data from 30 cocaine-dependant outpatient clients to try to define the withdrawal processes. They found that there are three phases during the Drug Withdrawal Stages in Addiction Recovery. The first identified was Phase One or the ‘crash’ which developed rapidly following abrupt discontinuation of heavy drug use. Individuals experiences acute dysphoria, irritability, anxiety, increased desire for sleep, exhaustion, increased appetite, and decreased craving to use. The second phase, Phase Two or the ‘withdrawal’ phase was characterized by increased craving to sue, poor concentration, some irritability, some lethargy, and lasted up to 10 weeks. The final phase, Phase Three, or the ‘extinction’ stage had intermittent cravings to use within triggering settings, which lasted up to two years . The second, more recently identified phase within the Drug Withdrawal Stages in Addiction Recovery is the Protracted WIthdrawal Phase, or more commonly know as PAWS (Post Acute Withdrawal Syndrome). This phase typically is characterized by a gradual decline of symptoms but may have wave-like recurrences with phases of more ‘normalcy’ in between the waves. These waves are at first frequent, but then seem to phase out until recovery is reached. Symptoms tend to be more emotional rather than physical and tend to be more long lasting. Symptomatology includes anxiety, insomnia, cognitive impairment, depression, and various sensory and motor issues, and gastrointestinal distress [4, 5, 6]. This secondary phase occurs due to the brain’s chemistry is gradually returning to a homeostasis, without the crutch of substances. The most common symptoms reported are mood swings, anxiety, irritability, tiredness, variable energy, low enthusiasm, variable concentration, and disturbed sleep  Each ‘wave’ of withdrawal throughout the phase can last for a few days in duration and there seems to be no apparent trigger for wave of emotional changes. PAWS withdrawal can last for up to two years and important to keep in mind with experiencing withdrawal symptoms . Typically symptoms over this 2 year period can include mood swings. Typically clients can take medications to help alleviate some of the symptoms. Mood swings can occur due to when the substance is removed, periods of mania or depression can occur as the brain works to rebalance itself . Depression and fatigue, coupled with Anhedonia, another symptom, is when the individual experiences a decrease of pleasure, interest, and/or lethargy in previously enjoyed activities. The individual may feel that nothing sounds interesting, or fun anymore. This reaction is due to the lack of ‘feel good’ regions of the brain not being activated by the substance abuse, which boosts the neurotransmitters and pathways that create the feeling of a ‘high’ Depression and fatigue may persist during the body’s readjustment and may diminish over time. Some individuals may need further treatment though, as depression and/or anxiety may be an underlying mental health concern which was masked by the addiction. . Anxiety can occur with cessation of substance use and individuals may also experiences panic attacks. Substance cessation can result in hyperexcitable, anxiety-prone states in the brain when the drug is stopped, with the reaction being anxiety and/or panic . Individuals may experience vivid and realistic dreams and affect sleep patterns. Cognitive impairment can also occur due to neurotransmitter imbalance. THere may be difficulty thinking clearly, inability to remember events or details and issues with concentration. These symptoms are temporary . Individuals during the PAWS phase will also experience drug cravings and individuals my feel physically well but have negative psychological symptoms where the addiction substance may seem appealing. Individuals may also find stress tolerance levels diminished. Increased irritability with self or others, negative thinking patterns, and difficulty with coping are a normal part of this process. With therapy, individuals can learn new ways to manage stress with the recovery process . 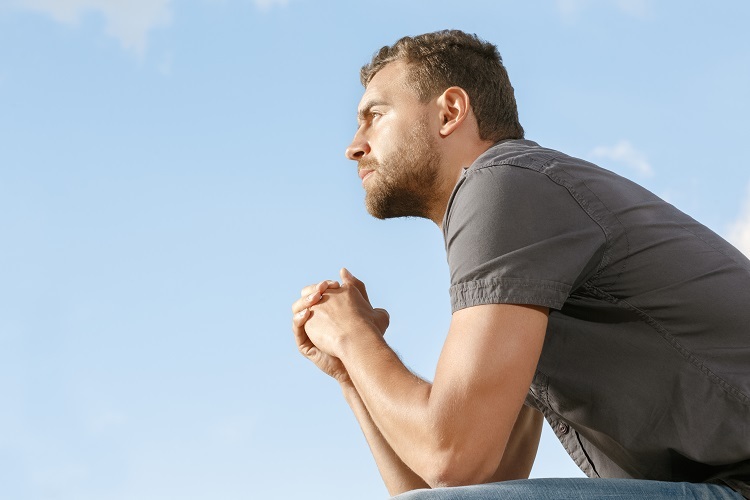 Ways that individuals who are going through the Drug Withdrawal Stated in Addiction Recovery, and their loved ones, can prepare by educating yourself on the signs, symptoms of both Acute and PAWS phases of the withdrawal process. Knowing what to expect can help alleviate some of the anxiety and uncertainty of withdrawal. Remembering to focus on the positive changes and successes during this process. It can be easy to focus on the negatives, or dwell specifically on the emotional state or physical symptoms, but remembering that recovery is changing the individual’s life for the better. Practicing healthy self care tools, and staying active can help the individual and loves ones boyd and brain heal, as well as provide healthy coping tools to manage the symptoms of withdrawal. What symptoms of withdrawal have you, or a loved one experiences? What tips or suggestions would offer another about the recovery process?